President of the Republic of India Shri Ram Nath Kovind is expected in Zambia, Tuesday, (today) for a three- day State Visit. It was the first time in three decades that a President of India was undertaking a state visit to Zambia. Foreign Affairs Minister Joe Malanji announced this at a press briefing in Lusaka, Monday, attended by Zambia’s High Commissioner to India Judith Kapijimpanga. “Zambia has enjoyed excellent relations and cooperation with India with support accorded to Zambia on a bilateral level as well as under the framework of the India- Africa Forum Summit, in the fields of energy, health, infrastructure, capacity building, agriculture and trade among others,” Mr. Malanji said. He said private investment in Zambia by Indian companies currently stood at over USD 5 Billion in sectors such as mining, infrastructure, manufacturing and pharmaceuticals. “There has been a steady increase in bilateral trade which stands at USD 1.2 Billion from April 2017 to January 2018,” the Foreign Affairs Minister said. Mr. Malanji said India was an important and strategic partner in the quest of the Patriotic Front- PF Government to deliver development to the Zambian people as articulated in the Seventh National Development Plan. He said during the state visit, the two Heads of State would hold bilateral talks and witness the signing of several Memoranda of Understanding (MOUs) between India and Zambia aimed at enhancing cooperation in various sectors including the establishment of Entrepreneurship Development Institute in Zambia, taxation, visa exemption on diplomatic passports and judicial cooperation. “President Edgar Lungu will continue to engage with his counterparts world over to ensure that a conducive environment for Zambia’s developmental aspirations is maintained on the International arena,” the Cabinet Minister said. He said President Kovind and President Lungu would also officiate at a ground breaking ceremony of the decongestion of Lusaka roads which would result in fly over bridges. 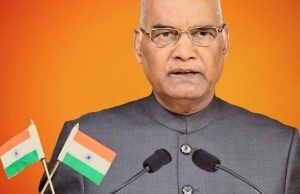 The Indian President leaves Zambia on April 12, 2018. And Zambia’s High Commissioner to India Judith Kapijimpanga says the mission in India holds the state visit in high esteem especially that tourism and trade volumes have quadrupled. This was contained in a statement made available by First Secretary Press and Tourism at the Zambian Mission in India, Bangwe Naviley.